Perquimans County was deeded to George Durant in 1661 by the Yeopim Indians. With the river as the region's major thoroughfare, the small settlement called Hertford served as the state's first capital until 1716. Quakers from Hertford, England, held the first recorded religious service in the state here in 1672. The first bridge across the Perquimans River was build in 1798 and was replaced 100 years later with a drawbridge. In l928, the current 'S' Bridge replaced the drawbridge and is still in use today. The 'S' Bridge and a huge harvest moon also inspired the song "Carolina Moon." Through the first part of the 20th century, Hertford thrived as a lumber town, making good use of the nearby river. On average, there are 209 sunny days per year. The July high is around 89 degrees, and the January low is 33 degrees. The comfort index is 33 out of 100. The area also gets around 49 inches of rain per year, with about 5 inches of snow. The number of days with any measurable precipitation is 100. Other attractions include Perquimans Antique Trail, the Periauger (a replica of an 18th century sailing vessel), Perquimans Village, Layden's Country Store, the Northeast Dragway, Indian Summer Festival, Northeastern North Carolina Boat Show and more. Public elementary, middle school and high schools in Hertford include Hertford Grammar, Beacon Academy and Perquimans County High School. Colleges and universities near Hertford include Tidewater Community College, Norfolk State University, ECPI College of Technology, Old Dominion University, Hampton University, Thomas Nelson Community College and Christopher Newport University. Nearby hospitals and medical centers include Chowan Hospital, Albemarle Hospital and Washington County Hospital. 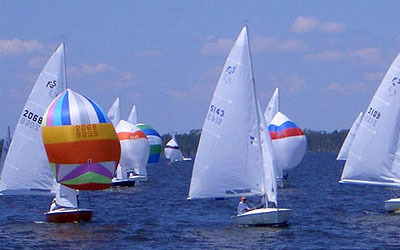 The 55-mile Albemarle Sound, which is also part of the Intracoastal Waterway, is the largest freshwater sound in North America. It is a local favorite recreational fishing ground and popular place for cruising, sailing and all water sports. 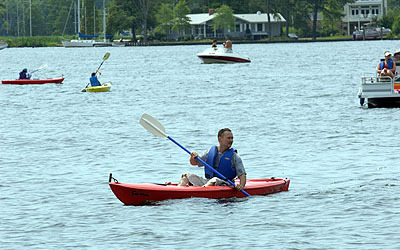 The Perquimans River is ideal for boating, canoeing and kayaking and offers 100+ miles of shoreline. Perquimans County is an outdoor lover's paradise with pristine trails and woods, dozens of peaceful creeks and rivers, and wide-open spaces. There are also a number of parks for your enjoyment. Winfall Landing Park features a picnic area and boardwalk, and is ideal for fishing canoeing and kayaking. Other parks include Missing Mill Park and Hertford Municipal Park. If you're ready to go hunting you will appreciate Lazy Days Hunting Preserve, where you can experience some of the best hunting in the region with deer, quail, pheasant and chukar. Southern hospitality is abundant in Hertford and Perquimans County. If you're looking for a better quality of life, come on in to our United Country office and check out our large selection of real estate. Remember: we put the country in United Country.